A great opportunity to try and catch "the big one." Families and individuals will be able to enjoy a morning of catch & release fishing at Carpenter's Brook. 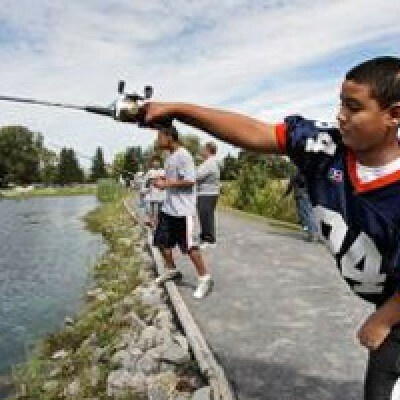 Volunteers will be onsite to assist beginners and bait, rods and reels are provided. New for 2019 - Click here to register and pay online or call the Parks Reservations office at (315) 451-6249. Advance registration and pre-payment is required. $5 per person. Advance registration and pre-payment is required.